Looking for some idle fun to while away a few minutes in the office before Christmas? 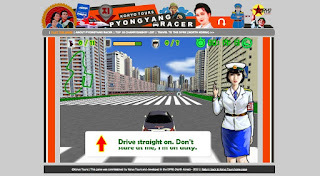 Play this retro car racing game from North Korea! Who says advergaming doesn't work in communist dictatorships! 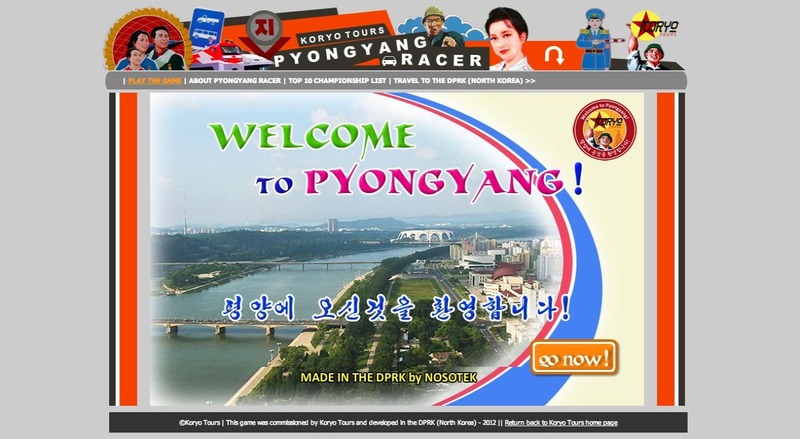 The creative geniuses at Koryo Tours commissioned a DPRK (North Korea) gaming company to develop a racing game that lets you drive around Pyongyang in a locally made Pyonghwa Motors vehicle, see some of the sites and compete for a good race time! 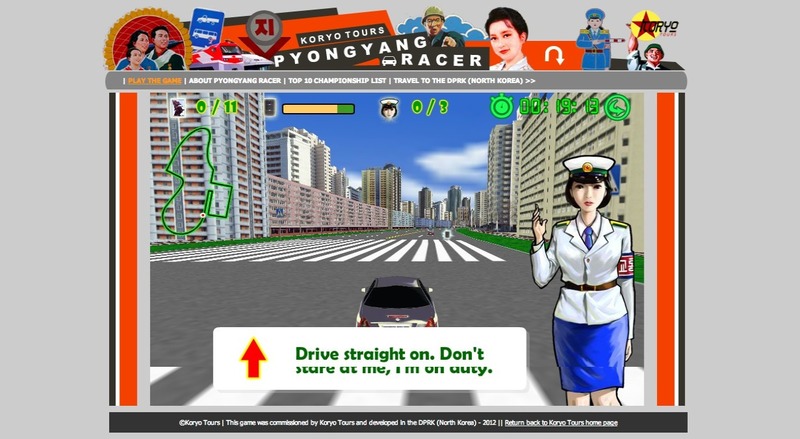 Collect fuel along the way, avoid the attentions of Pyongyang's traffic ladies, and try not to crash into any of the local cars, or the DHL vans! 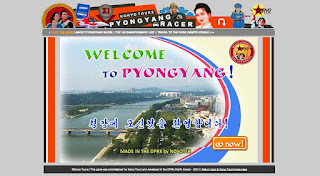 Find out more about Koryo Tours via their website, follow them on Twitter or Facebook, see their photos on Flickr, videos on YouTube, and watch their slideshows on SlideShare. 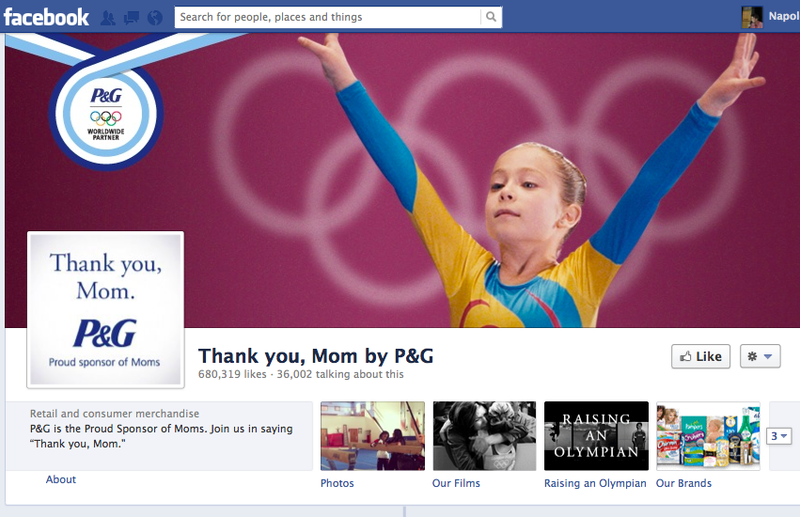 (Are these guys digital marketing savvy or what?). Christmas is around the corner and you still have last minute shopping left to do. Do you take to the bustling streets of downtown Hong Kong or head online for some leisurely shopping? 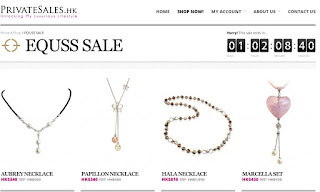 We're inviting you to take a couple of hours out of your busy day to learn about the latest internet start-up in Hong Kong, PrivateSales.hk, where members "unlock" a lifestyle of luxury fashion, cosmetics and accessories at up to 70% discounts. The founder, Damien Bos, who has just completed his first successful sale for Equss, will share with us how he plans to use the internet, especially social and mobile channels, to please the budget-conscious fashionistas in Hong Kong. In the spirit of the season, Damien is generously offering luxury prizes, including male and female watches and HK$500 in credit to buy via privatesales.hk. Come join us for the final festive Web Wednesday of 2012! Sign up on Facebook, Google Plus or Eventbrite (don't pay online, only at the door). 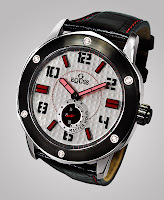 We kick off at 6:30pm at Bisous, 9/F, LKP Tower, 33 Wyndham Street on Wednesday 19th December, 2012. Damien is actively tapping into social media to spread the good word of luxury shopping, find PrivateSales on Facebook, Pinterest, Google Plus, Twitter and YouTube. With just four days left to our next social mixer on Tuesday 20th November where the topic is online dating, I thought I'd try out some web-based polls to see which site or app is most popular. LinkedIn only allows up to five options, so place your vote! Poll - What do you fear about dating online? 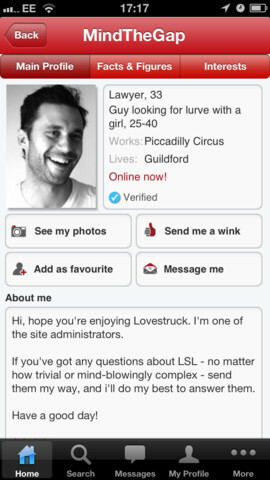 In the run up to our next social mixer on Tuesday 20th November, where we talk the art and business of online dating with the co-founder of Lovestruck.com, we've partnered with TreeCrunch to conduct some local research. Help us by answering one question via this online poll. Feel free to share your response via social media to that we can collect a meaningful representation of your opinions. We will share the results (all anonymous) via interactive infographics at Web Wednesday. If you haven't signed up for the event, please do so on LinkedIn, Facebook, Google Plus or Eventbrite. For our 64th social mixer, we're talking the art and science of matchmaking in a busy digital, social and mobile world with another Londoner, Brett Harding, the CEO and Co-Founder of Lovestruck.com. Brett has been highly successful in turning a student-originated scheme for "chemistry test date in your lunch hour" into a profitable internet business that "delivers smooches and happiness to the masses in style". Follow his daily musing on Twitter (@brettharding), where he describes himself as a "marketeer, tech & gadget lover and a Liverpool football fan". Please note that the gathering is set for a TUESDAY 20th November so that we can accomodate Brett's special appearance as he is flying in from London (via Singapore). Come along to find out how "busy people click" and learn how to expand a successful internet start-up into different markets across the world. Sign up on Facebook, LinkedIn or Google Plus. Mixing starts at 6:30pm and continues until 9:30pm with the interview kicking off at 7:15pm. If you're in the mood for love and want to put Lovestruck to the test, start by downloading the app for iPhone or Android. (See iOS screenshots below). Spread the word and share the love! On top of sharing her experiences producing the mobile apps and running the social media channels for the London 2012 Olympics, Claire Watson has also generously offered her Olympic Games Master Shirt (a limited edition item) as the top prize for tonight's lucky draw at our 63rd Web Wednesday Social Mixer. If you haven't signed up yet, do let us know that you're coming via Facebook, LinkedIn or Google Plus. 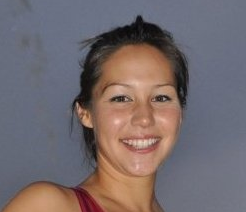 For our 63rd Social Mixer, we bring you an athletic, British digital expert fresh off the plane and ready to talk tech. As a member of a small team of elite New Media Producers for LOCOG*, Claire Watson will share with us the story of "The First Digital Games: A Behind-the-Scenes Look into the Mobile Apps and Social Media activities of the London Olympics". 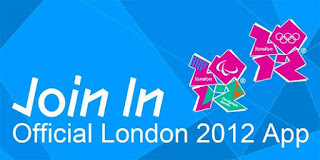 Claire produced the Official London 2012 Join In Mobile App and managed their social media channels on Twitter, Facebook, YouTube and FourSquare. The event will kick off at 6:30pm and finish at 9:30pm with the interview starting at around 7:15pm. As per usual, there will be a HK$100 entry fee which includes a complimentary drink at our brilliant venue, Bisous, 9/F, LKF Tower, 33 Wyndham Street. ( For directions, check the map on their website). Come run alongside the local Digerati! Sign up on Facebook or LinkedIn. 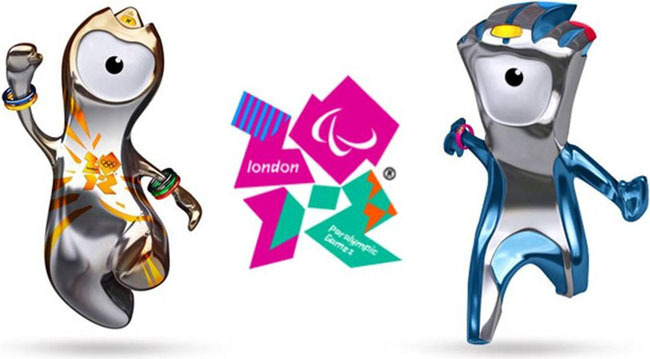 *LOCOG stands for "London Organising Committee of the Olympic Games and Paralympic Games", a private sector company responsible for staging and hosting the 2012 Games. 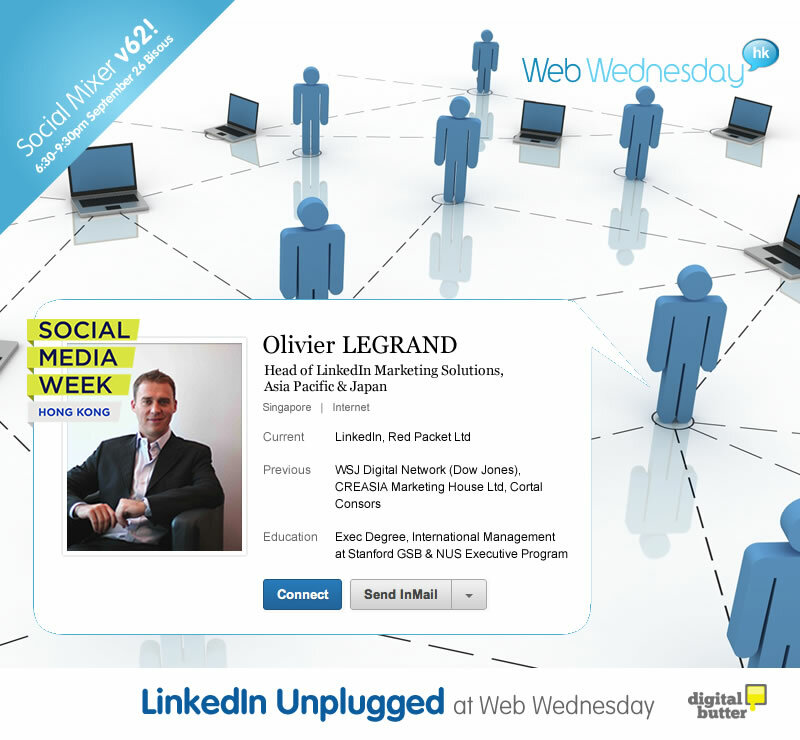 If you missed our 62nd Web Wednesday Social Mixer, you can listen to the raw, unedited version of the interview with Olivier LeGrand, APAC Head of Marketing Solutions for LinkedIn, by clicking on the play button below. (Warning: the occasional swearword nudges its naughty way into the conversation!). LinkedIn is proving that it can 'go local' as it expands its offices across the world. We'll be giving out some of these mooncakes as lucky draw prizes at tonight's Web Wednesday HK - Social Mixer V62. If you haven't done so yet, do sign up to let us know you're coming. As of 4pm today, we have 130 attendees via LinkedIn and 60 via Facebook. 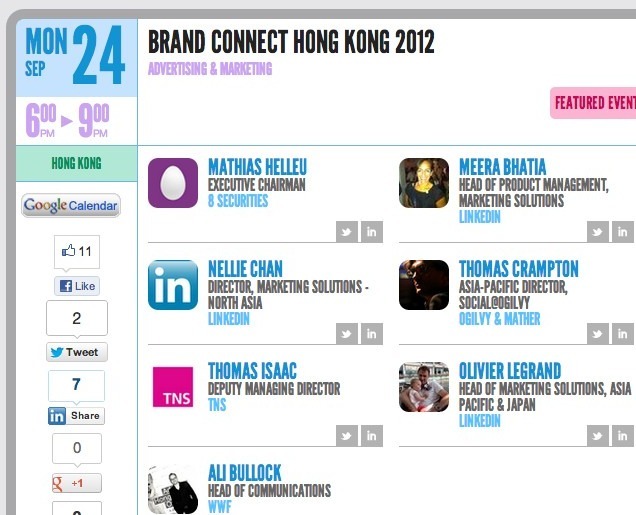 (I guess the former truly is a more suitable platform for B2B networking!). A wide range of professionals will be attending tonight, not just the Digerati. Take a look at the breakdown of industries below - I can't work out why some are listed as "unknown", don't we all know what industry we work in? For our 62nd Social Mixer, we have the pleasure of inviting Olivier LeGrand, APAC Head of Marketing Solutions for LinkedIn, which operates "the world’s largest professional network on the Internet with more than 175 million members in over 200 countries and territories". Sign up on LinkedIn (yes, they do have an event app too!). 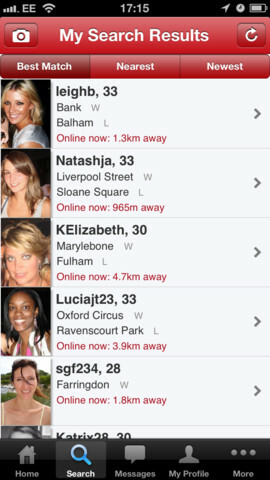 As of 21st September, 48 people have signed up via this app already. 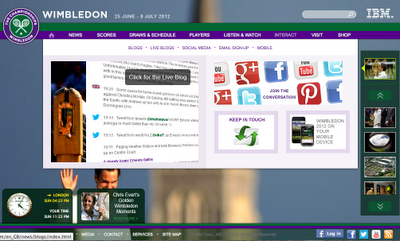 [Thanks once again to the creative folk at Digital Butter for producing the backdrop image above]. We will be looking at the adoption of LinkedIn in Asia, how it is being used to bridge business connections across national boundaries and what types of communities are most active in each Asian country. 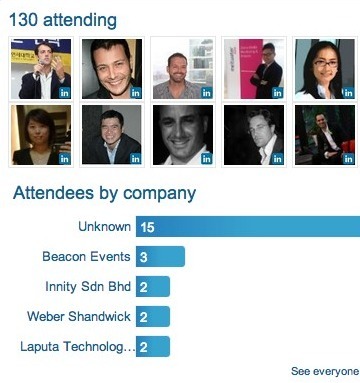 This year, LinkedIn set up sales offices in Singapore and Hong Kong, so we will also be finding out what they sell and to whom. Expect some cheeky questions about their stock price! In my research, I dug up an old post from November 2010 entitled, "LinkedIn - Facebook for Suits"! Do take a look as I introduced several services that have become the norm now. 2 new members sign up to join LinkedIn every second. 62% of LinkedIn members are located outside of the United States. Russian, Spanish, Swedish and Turkish. Of total 175 million members, 25M in Asia Pacific, 16M in India, 3M in Australia, 4M in Southeast Asia, 1M in Indonesia and 1M in the Philippines and 400,000 in Hong Kong. LinkedIn members did nearly 4.2 billion professionally-oriented searches in 2011 and are on pace to surpass 5.3 billion in 2012. (So, it's worth optimising your profile!). LinkedIn counts executives from all 2011 Fortune 500 companies as members; its corporate hiring solutions are used by 85 of the Fortune 100 companies. More than 2 million companies have LinkedIn Company Pages. their sites to send content into the LinkedIn platform. 23% of unique visiting members come from mobile apps, versus just 10% one year ago. That number reaches 27% when including mobile visits to the website. This month's mixer is slap in the middle of Social Media Week, which is held simultaneously in 13 cities around the world. Please do sign up and support some of the other exciting events happening during the week. The event will kick off at 6:30pm and finish at 9:30pm with the interview starting at around 7:15pm. Share the love and come connect with the local Digerati! We are taking questions in advance on Twitter, using the hashtag "#wwhkv62". 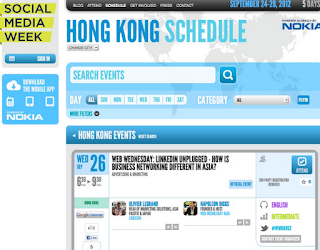 For the third year in a row, Web Wednesday is happy to support SES Hong Kong, the annual conference and meeting point for over 300 digital marketing and advertising professionals. If you want to keep up with the latest marketing trends, best practices, new technologies and, above all, hear practical tips that will help grow your business, register here to enjoy a special 20% discount. The unique Avinash Kaushik, Digital Marketing Evangelist for Google, providing you valuable insights on balancing multiple media channels, leveraging key metrics, grounding your digital existence in driving economic value for your business. Mike Grehan, Global VP of Content for SES, Search Engine Watch and ClickZ giving you his essential Search Engine Marketing best practice guide for 2013. Matthew Chan from Ralph Lauren, Juliana Loh from JLOH Communications and Zaheer Nooruddin from Burson-Marsteller discussing best ways for you to develop an integrated, regional social media strategy when juggling multiple channels, cultures, time zones and languages. Madhu Malkani from Estée Lauder teaching you what you need to look and listen for, and how to apply it to your business to maximize ROI through his in-depth introduction to analytics. Myself, Napoleon Biggs, moderating a panel discussion on award-winning strategies: new tech, new trends, where Ricky Chu of Gravitas and Leonard Chan of Pulse Mediatech will explore how augmented reality and other hot new technologies can help retailers to drive customers from online to offline. Every day in Hong Kong, 3200 tonnes of food are sent to landfill. At the same time, 1 in 5 people are living below the poverty line struggling to get 3 nutritious meals a day. Project #3200 aims to counter the balance by challenging the city to come together for the biggest food drive ever. If we made a collective effort, could we donate more food than we waste? This September, we have an ambitious project to coincide with Hunger Action Month in the USA, and we would like to invite you to play a role. This project aims to counter the balance in a big way - to see if through the course of the month we can collect more food than we waste. All food donations collected through the campaign will be redistributed via the FHK charity network to grassroots charities feeding people in need in our community. Our request for support is simple: make a pledge on our website (3200.feedinghk.org), follow us on social media (Facebook, Twitter and YouTube) and help us spread the word about "Project3200" and encourage your followers to consider a food donation in September. Simply post, share and tweet on August 29th, 2012 and let your commitment be heard! Feeding America has created a touching video, called "Hungry Kate: the Girl with the Belly Ache" that reflects the state of the economy and outcome of job losses there. 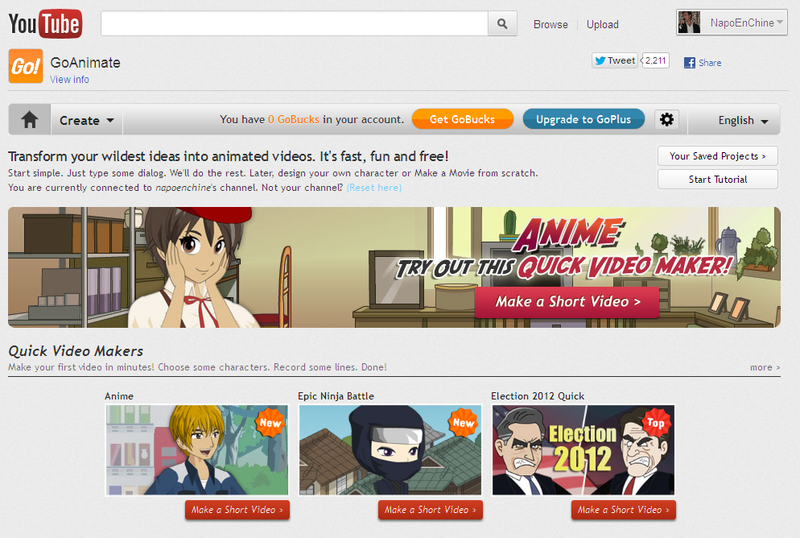 GoAnimate has joined YouTube's platform for third party applications, YouTube.com/create. I like the way you can create animations and share them directly from within the YouTube platform. 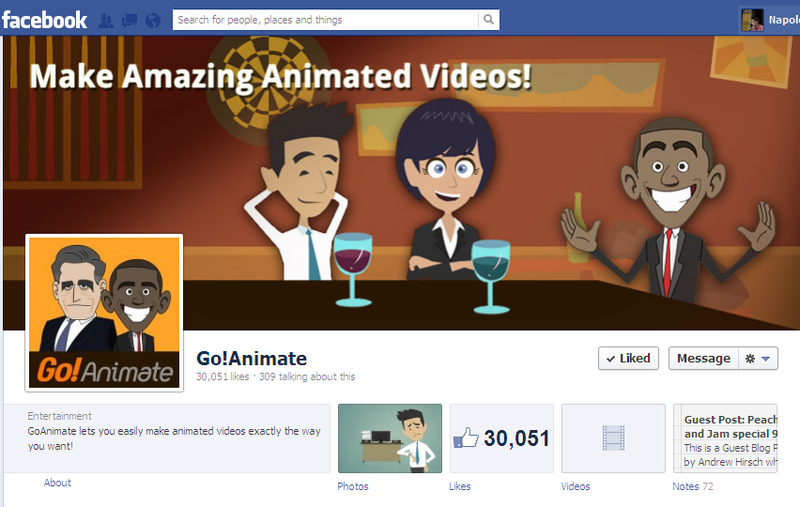 Thinking of using GoAnimate (our guest speaker on 29th August 2012) to create a corporate video or "how to" presentation? Then take up their generous offer of 15% discount to members of Web Wednesday for their business video platform (goanimate.com/business). Simply enter the code "WEBWED15" on the subscription page in order to enjoy the discount. (Offer is valid until 31st October 2012). 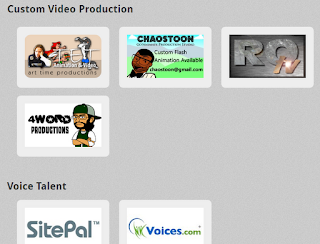 There is also a marketplace for vendors who provide support services, like voice overs and professional video production (ironically). 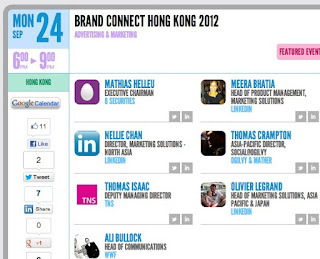 And if you want to try your chance at winning a free business subscription in our lucky draw, attend our next social mixer on 29th August, 2012 at Bisous, 9/F, LKF Tower, 33 Wyndham Street, Central, Hong Kong. 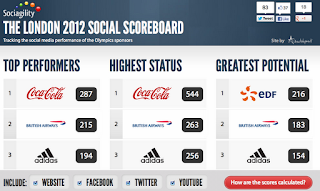 Wondering how the first truly "Digital Olympic Games" scored? Have a good look at this presentation from Alex Balfour, Head of New Media, London Olympic and Paralympic Games 2012. Follow Alex on Twitter (@AlexBalfouor2012) and subscribe to his blog (www.alexbalfour.com). 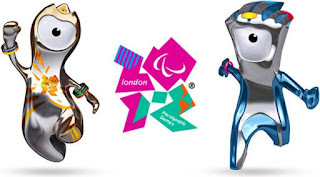 An extract about the lucky man: "Alex Balfour joined the London Organising Committee of the Olympic and Paralympic Games (LOCOG) as Head of New Media in 2006. 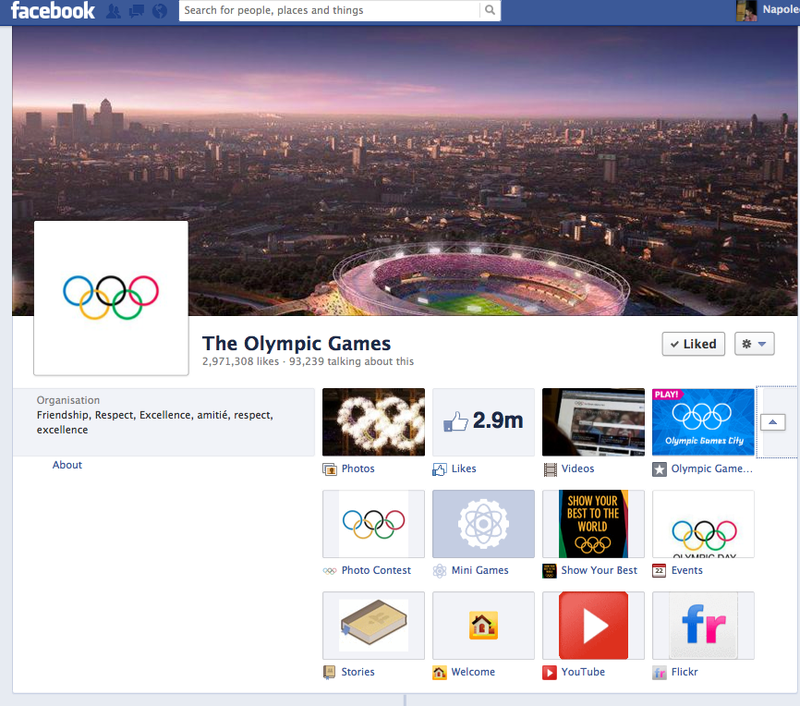 At LOCOG he built a team from scratch that has delivered 77 digital channels including london2012.com, two mobile apps, ticketing, volunteering, education, online shop, mobile apps and social media presences to a worldwide audience of over 150m during the Olympic Games." For our next social mixer on 29th August, we have lined up Alvin Hung, Founder & CEO of GoAnimate, the world's No. 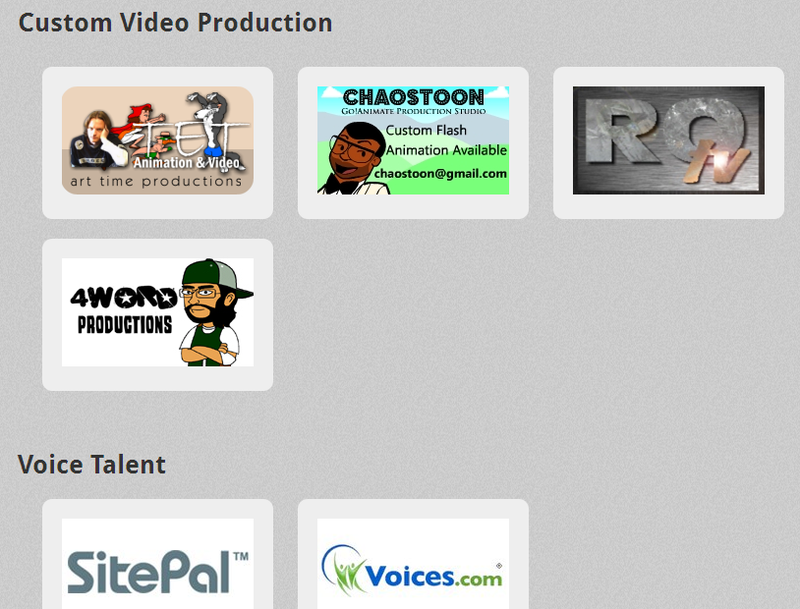 1 do-it-yourself animated video website. A serial techpreneur, Alvin started his digital cartoon company in Hong Kong in 2007, which how has several million users and has worked with content owners such as Cartoon Networks (Turner). In the interview, I'll be asking Alvin how he funded, launched and resourced a new web business from Hong Kong, how he makes money from a freemium business model and how he managed to win over global content owners as his partners. 2008: Launched at ComicCon. Featured on Mashable and CNN. 2009: First Enterprise Customer - Time Warner Asia. 2010: Character Creator application launched, allowing you to create your own cast of actors. 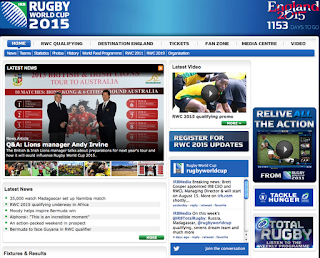 Premium membership launched. 2011: GoAnimate For Schools launched. Partnership with YouTube. Opened office in Bay Area. 2012: GoAnimate For Business launched. HKICT Best Collaboration Grand Award winner. - Over 4 million users and more than 8 million videos created. Most users from English speaking countries but people also come to us from all over the world. 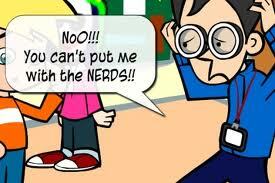 - Alvin founded GoAnimate because I was trying to create a video myself and I couldn't do it. All the tools required me to learn complex software, draw, use a camera, or have actors. Our 61st social mixer will be on Wednesday 29th August at Bisous, 9/F, LKF Tower, Central, Hong Kong. The event kicks off at 6:30pm and finishes at 9:30pm with the interview starting at around 7:15pm. 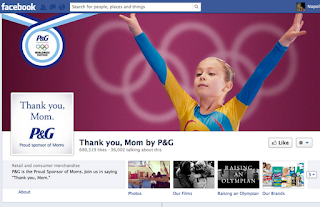 You can see who else is coming by signing up on Facebook or Google Plus. Go ahead and create your own animations - we will show a selection of the most creative on the night. If you truly love animations and want to keep abreast of new developments in online cartoons, follow GoAnimate on Twitter, Facebook, YouTube, Google Plus and/or Pinterest. For those of you who missed our 60th social mixer, here is the raw, unedited interview of Tom Broom, Vice President Business Development and Digital Media, Asia Pacific for IMG Sports. 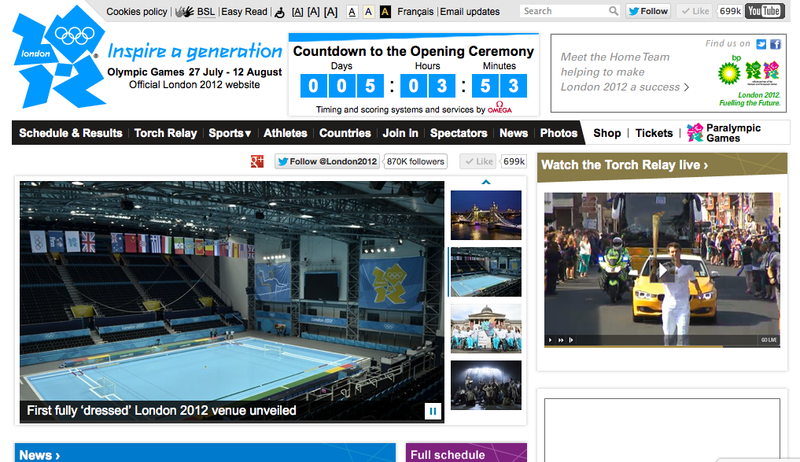 The London Olympics (London2012.com), proudly called "The First Digital Games", is fast upon us. So, for our 60th social mixer, I thought it would be fitting to invite an expert in the sports marketing industry to discuss how the internet and digital media are changing the way that people consume and engage with sports content, as well as how it is distributed and sold online. Please join us to hear from Tom Broom, Asia Pacific Head of Digital Media at global sports marketing firm IMG Worldwide, as he takes the hot seat at our 60th Web Wednesday Social Mixer on 25th July at Bisous, 9/F, LKF Tower, Central, Hong Kong. The event kicks off at 6:30pm and finishes at 9:30pm with the interview starting at around 7:15pm. Sign up for the event on Facebook, LinkedIn or Google Plus. Tom is fresh from London where he advised the All England Lawn Tennis Club on the long-overdue digitisation of The Wimbledon Tennis Champonship who have an official website, presences on Twitter (@wimbledon), Facebook, YouTube, Instragram and mobile applications on App Store and Google Play. And helped make the Rugby World Cup (official website, @rugbyworldcup) become a game of zeros and ones! As per usual, there's a HK$100 entrance fee, which includes one complimentary drink, an enlightening talk, high-quality networking and the chance to win lucky draw prizes. Our lovely assistant, Vivian, will issue a receipt if you need one. 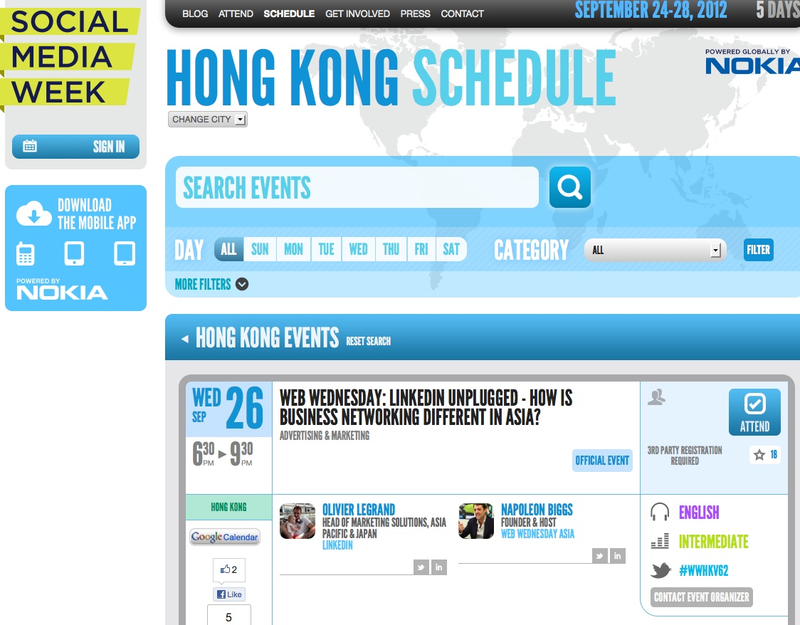 (For students, you can get in for HK$50 without free booze). Thereafter, all standard drinks will be charged at special happy hour prices. In my research for this interview, I came across several other interesting materials that illustrate where this is all going, not just from a consumer perspective but also from a content owner and broadcaster's point of view too. 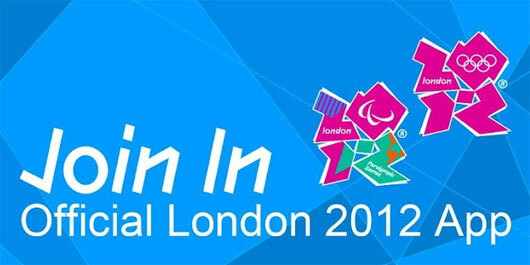 The official website of the London Olympic Games can be found at London2012.com, with links to Facebook, Twitter (@london2012) and YouTube as well as a nicely designed mobile apps and a fun mobile game. As the host broadcaster, the BBC has set up a special page under it's sports section and will be broadcasting video live over the internet as described by Gary Lineker, the famous British footballer and sports commentator. Every Olympic event, sport and venue live, on-demand and interactive on bbc.co.uk/sport, with up to 24 live HD streams and 2,500 hours of coverage. 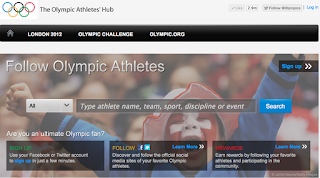 Pages for every athlete, sport, venue and country, enabling detailed access to real-time updated Olympics data, statistics and news. High quality coverage that’s personal and social, enabling audiences to follow and favorite every athlete, sport, event and country and get tailored updates, as well as access live updates, Twitter visualizations and social media commentary. Lots of great developments to discuss so spread the word and invite your friends and business connections to come along by signing up on Facebook, LinkedIn or Google Plus. On 27th June, highly experienced online travel marketer, Sean Seah, will be taking the hot seat at Web Wednesday's popular networking event to discuss, "Travel 3.0: Selling dreams via real-time, sharable media". We will talk about how the five stages of travel (see Google interactive link) are being changed by websites, mobile, ebusiness and social media. Let us know that you're coming via the Web Wednesday Group event on Facebook. 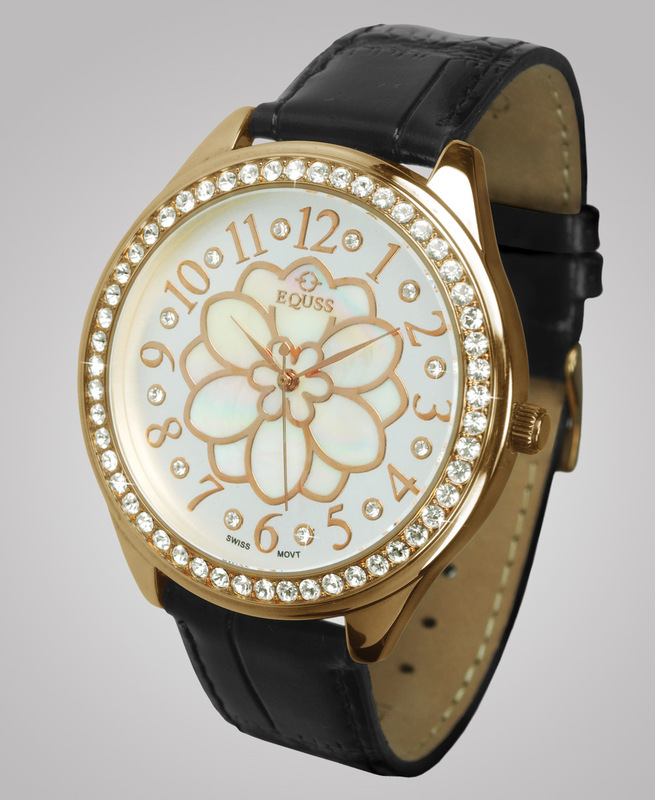 We kick off at 6:30pm at Bisous, 9/F, LKF Tower, 33 Wyndham Street, Central, Hong Kong. HK$100 entrance fee includes one complimentary drink and the chance to meet the Creme de la Creme of Hong Kong Digerati. Learn more about Sean via his LinkedIn profile. He has worked as the eCommerce Manager for Air New Zealand, General Manager for Zuji Singapore and Zuji Hong Kong and is now the Vice President eBusiness, Loyalty and Partner Marketing (Global) for Langham Hospitality Group. Dreaming: 68% of business travelers watch travel-related online videos. Among them, 68% are thinking about a trip. Planning: The average traveler visits ~22 travel related sites during 9.5 research sessions prior to booking. Booking: 37% of leisure travelers report that the internet prompted them to book, up from 28% two years ago. Experiencing: 70% of business travelers check into their flights/hotel with their mobile device. Almost 1 in 4 hotel queries come from a mobile phone. Sharing: About 1 in 3 business travelers have posted reviews online of places they've been. Sean pioneered the production and marketing of a set of short films recorded using an iPhone (with a fancy lense) and shared over the internet. See them for yourself at mywaymyplace.com. This video shows how the short movies were directed by Yamanyamo, an emerging new media studio in Hong Kong. On 30th May, 10 brave contestants took to the stage at Bisous to present their latest app creations in our quarterly developer challenge, fondly known as "Battle of the Apps". [Read more about the first five contestants here, and second five here]. After one hour of patiently listening to the presentations, the audience of 100 guests took to the vote. (We went analog, using smiley face stickers on white cardboard). In third position, a highly popular virtual butterfly catching game (combining GPS, Motion Sensor and Augmented Reality technology): iButterfly. Find them on Facebook. 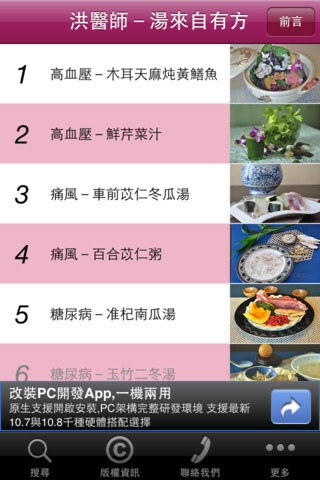 In second position, learn how to cook popular Chinese recipes with Chi Fan. Find them on Facebook. [Note the cheeky QR code on the cover page - how long will Zuckerberg let them get away with this obvious call to action?]. Wait for it...the top prize goes to...an app for competitive types Coach's Clipboard! Find the creator, J Plus Corp, on Facebook. Congratulations to the three winners! We hope that the rest of the contestants enjoyed the battle, made some good contacts and that Web Wednesday has helped nudge awareness of your creations up a notch or two! Our next Battle of the Apps will be held in late August 2012. Time has flown past since our last Battle of the Apps but I've found a spare moment to gather some info on the second lot of brave contestants at who joined the fray on May 30th. [Read about the first set of contestants here]. Our 6th contestant, Doctor Hung's Healthy Soups (洪醫師－湯來自有方) teaches you how to make medicinal soups following old Chinese recipes. Ditch your burgers and live long with this app! (Developed by Crossover International and download from iTunes). 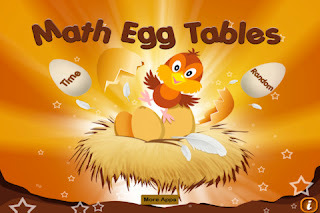 Ever wondered how cracking eggs can improve your maths? The folk at Tiny Tapps have come up with just the game for you (and your tots). Smash your way to genius! [Download from iTunes]. Continuing with the theme of learning, the British Council has developed a set of interactive stories designed to help children who are learning to read and speak English, under their "LearnEnglish Kids" phonics programme - they're also using Twitter (@LearnEnglishKids). Let "super spies" Sam and Pam show you the way to phonic enlightenment. [Download from iTunes]. Enough about education already. Let's get outside and catch some butterflies. Ditch the net and use your smartphone! Conceived by the famous Japanese advertising firm, Dentsu (Media Palette), and produced by Hong Kong's home grown Cherry Picks, iButterfly has attracted more than 350,000 downloads with over 8 millions virtual butterflies caught so far! Build up your collection and follow them on Facebook too. [Download from iTunes or Google Play/Android]. And, finally, an app for the B2B crowd: Busification - "Make Fun Work". Using game incentives, this app enables businesses to manage work, motivate staff and analyse performance in an interesting and challenging way. Launched in beta at Web Wednesday, we hope to see this start-up grow beyond its wildest dreams. It's only been five days since we invited submission for the upcoming Battle of the Apps III on 30th May 2012 and we already have five brave contestants. (I'll list them in order of submission not preference). Within 12 hours of opening the contest, we have our first brave contestant with a good business but not catchy name, "Intuition Rubicon Mobile Learning Platform". 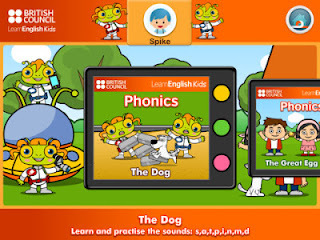 Since June 2007, their app has been downloaded 400,000 times! You can find it on the Apple Apps Store here. This app "allows companies to push, track & record training, sales or compliance courses videos or podcasts across all devices iPhone, iPad, Blackberry, Android and WinMob". 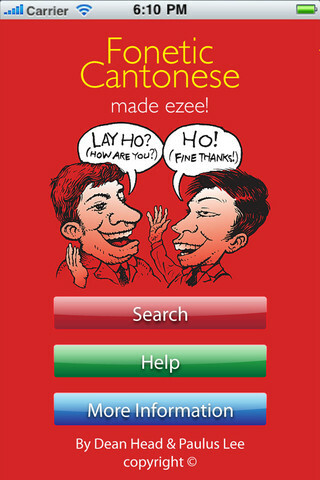 Our 2nd contestant within 24 hours of contest launch is "Fonetic Cantonese", which they describe as "helps overseas Chinese people and other foreigners speak Cantonese instantly thanks to the more than 3,000 words & phrases you can 'hear' plus you can read the phonetic translations (Western PinYin)." This witty app has been downloaded 3,000 times since December 2012. And the competition heats up! Our 3rd contestant for Battle of the Apps is a tool created by J Plus Corp to help coaches draw and animate plays on their mobile device (iOS, Mac, Android, etc) using their fingers. Coaches can move players, ball, draw lines and animate their plays/formations then easily share their plays via email or export them. Ranked "#1 paid sports iPad app" in Dec 2012. 10,000 downloads since it's launch on in June 2009. You can find it on iTunes. 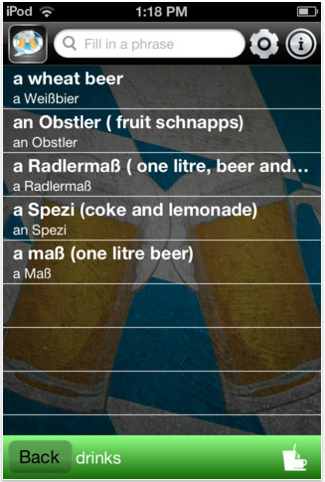 Our 4th contestant is a new offering from the prolific mobile developers at S4BB, which is a "Talking Phrasebook" for holiday trips to countries that speak Bavarian, Cantonese, Dutch, French, German, Hindi, Russian, Urdu, and - is this a language? - Oktoberfest! (Correction, "Oktoberfest Bavarian"). If you have a BlackBerry (70 million still do! 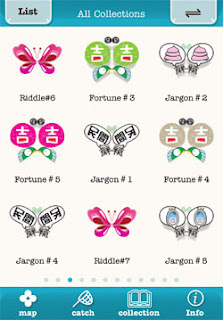 ), you can download it from their App World. Now that we've settled our linguistic curiosities, it's time to eat. 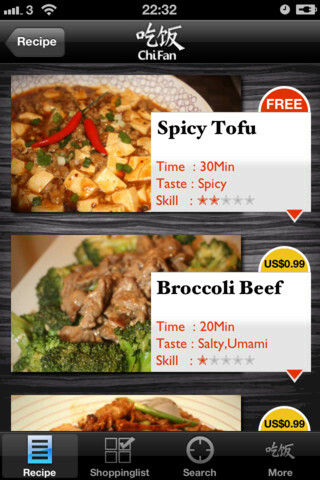 Our 5th contestant for Battle of the Apps III is "Chi Fan" a guide to cooking Chinese food by Bess Inc. Already downloaded 100 times since its launch on 14th May 2012. 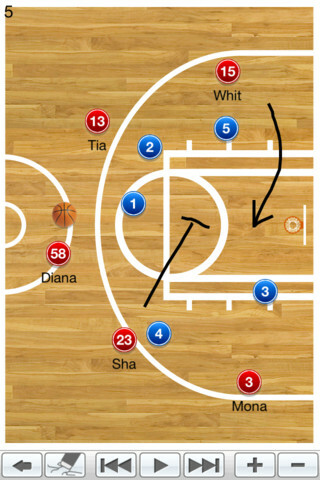 Download the iPhone app here. 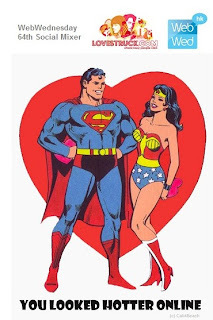 We're still recruiting contestants and sponsors so do spread the love using this link - http://j.mp/wwv58.